In August of 2012, Aaron and I packed our lives into a few suitcases and hopped on plane to Korea. We had decided long before then that we wanted to take a year off after we graduated, and we wanted to spend that year having an adventure. And it was the most incredible adventure I could have hoped for! Initially our plan was to teach English as a Second Language somewhere. Since Aaron and I both get so many questions about the process as well as what it is like to work abroad, I thought a post about our experience would be useful to some people. When we first began the process, we assumed we had to get some type of TESL/TESOL/TEFL certificate. As it turns out, this was absolutely not necessary for us, and ended up being a horrible waste of time and money. There are so many jobs available, and many just require a bachelor’s degree. If you have a degree in education, you almost definitely will not need a course like this. Research what the requirements are for the country you want to work in, and for the type of job you want, and don’t preemptively spend time and money on a course you do not need. We did not enjoy the course, and did not take a lot away from it. If you find you absolutely do need some type of TESL certification, research the different companies and courses available to you. Our next step was writing a resumes and cover letters. The only major differences between writing a resume for jobs in North America and writing one for Korea is you have to include more information: marital status, what condition your health is in, citizenship, and mother tongue. You also have to attach a photo to your resume, and many job postings ask for a copy of your passport. When we initially took the TESL course, we thought that it was worth it because at least the company edits your cover letters and resumes, but you can find so many resources for writing international resumes online that this “perk” is not actually something substantial. 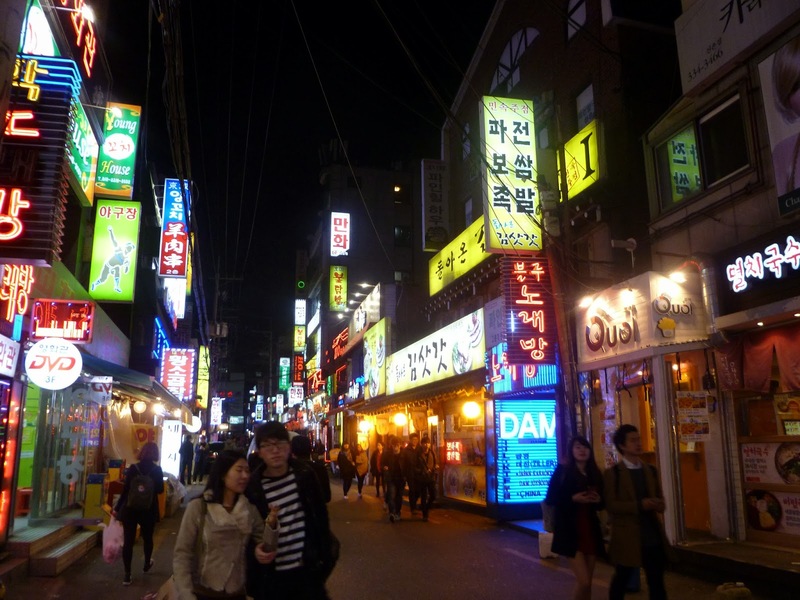 It was sometime after the course and during the resume writing process that we decided that we wanted to go to Korea. There are a lot of jobs, most of them pay well, and we had friends who were over there working. Initially, we really wanted to go somewhere in or close to Europe. We quickly discovered that it is very hard to get a job in Europe without EU citizenship, so we set our sights on Asia. After completing our resumes, the company sent them off to their partners, (also known as recruiters) who then began to contact us about teaching in Korea. When I was researching these various recruiters, I found that you could independently submit your application, such as for HandsKorea, ATC Recruiting, and Teacher Tech to name a few. However, I will offer this caution: It is not always the case, but often companies like these will get paid more to place you in a private school, which is not always the best case scenario. I speak more about the difference between private schools and public schools below. The recruiters are not responsible for you once you arrive, and often, you are totally on your own in this new country. Aaron and I worked with recruiters briefly, but I ended up finding jobs for us independently on Dave’s ESL Cafe, which I speak more about below. After submitting your resumes and cover letters, you will have interviews with your prospective employers. These will typically be over skype, so make sure you are somewhere quiet and with a good wifi connection. This is when you should ask questions about the school, your schedule, and what type of accommodations you will have. I would recommend asking for the contact information of one of their current employees as well, so you can ask even more questions before signing a contract. Once you have been offered the job, you will have to sign a contract and begin working on securing your visa. Contracts are almost always for 12 months for teaching English in Korea. Some schools will offer two year contracts. There is typically a bonus for completing your contract, and a signing bonus if you opt to stay longer. I know that some employers will help you a lot with this process, while others will leave you to figure it out for yourself. Since there are so many visa types, I can’t really offer specific help with visas, other than make sure you send the embassy EVERYTHING they asked for as soon as possible. There are often delays, or you might have filled something out wrong, or not included the wrong thing, and you don’t want your passport sitting at some embassy for a long time. There are different documents you will need depending on which country you are coming from and what type of job you will be doing. In our case, our school really helped us along with the process. Even still we had a few hiccups, one of which was that our school told us we had to go to the Korean embassy in Montreal in person to finish the visa process, which is 1200 kilometres away. As it turns out, you don’t have to go in person. In fact, you probably shouldn’t, because regardless, it will take a few weeks to process. But, if you are instructed to go in person, just call the embassy first to see if you do need to go. Maybe for certain types of visas you do need to go in person, but in my case, we didn’t. You made it to Korea! 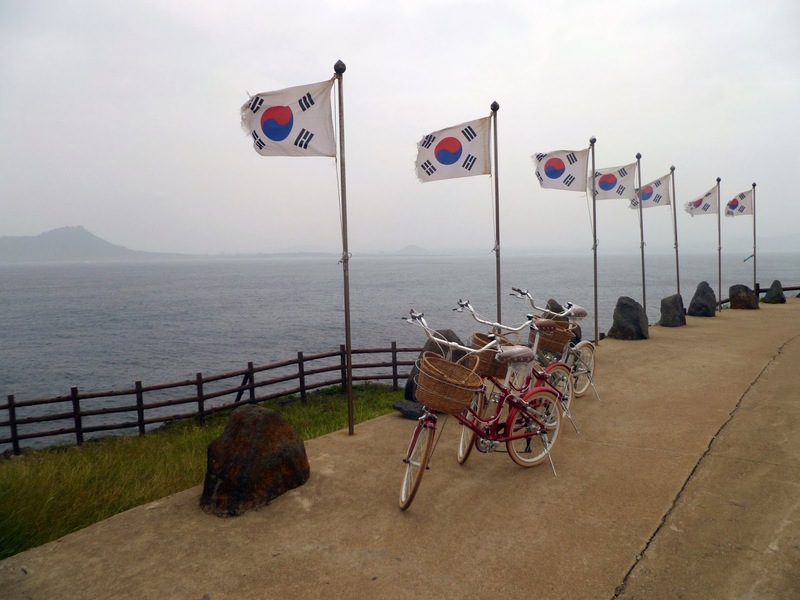 Upon arrival in Korea, you will have to go through basic immigration and customs. This is not a big deal, you just stand in the foreigner line, get your photo taken and your fingerprints scanned. As soon as possible upon your arrival, (our second day) you will have to start the process of getting your alien registration card, or ARC. You NEED to have this card. It is vitally important. It allows you to re-enter the country if you leave, you need it to get paid/open a bank account, and you need it to get a phone, among other things. Part of this process involves a medical exam. At this exam, you do a hearing test, a chest x-ray, a blood test, and a urine test. If you do not pass these tests, you might not be able to stay in Korea. From here, you will fill out more paperwork. Once your cards arrive, you can open your bank account and set up your pension. Money gets taken out of each pay check and put into your pension. Your employer is supposed to match this, and when you leave the country, you get all the money back. However, the pension is not applicable to people from certain countries, even if you have been paying into your pension. This is another thing for you to look in to. I know for certain that Canadian and US citizens get their pensions back upon leaving. We were fortunate enough to be brought to the medical exams and ARC office by our employers. Other friends of yours were just left to figure it out on their own. It all depends on where you are working. Private language academies, or hagwons, are infamous for not fulfilling their side of the contract. You can find information about Korean contracts here, or by just doing research online. 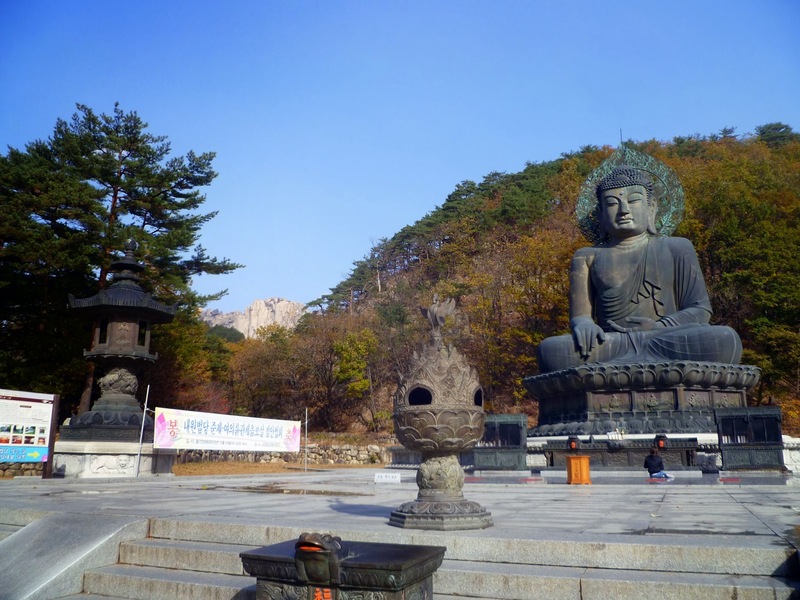 I do not have personal experience working at a hagwon, but many of my friends do, and it is frequently a topic of conversation while living there. It is important to note that a contract is treated differently in Korea than it would be in North America; it’s viewed as a working document in many cases, and there is not a lot that can be done for you if you feel like you are being treated unfairly. Most issues of mistreatment seem to stem from hagwons, at least from what we have seen and heard. We’ve had friends who have been required to work six days a week instead of five, or who have been living in mold infested apartment, or who have been forced to teach classes that weren’t initially part of their contracts. I would not recommend working at a hagwon unless you personally know someone who has worked at that hagwon or you have talked extensively with other English teachers at this hagwon. A good hint about the legitimacy about a school is how they deal with your airfare: if your flight is paid for upfront, you are probably in good hands. If they have you pay for your flight, and tell you that you will be reimbursed after having been in the country for a certain amount of time, than your situation might be a bit more precarious. Another thing to consider in regards to hagwons, is that the students have been in school all day, and they come to the hagwons after being in school already for hours. Suffice it to say, many students are not thrilled about being there and continuing to study. However, if you are only interested in teaching adults, rather than elementary, middle, or high school students, a private language school might be best. The alternative to working for a hagwon is working at a public school. You can apply for public schools through EPIK. I do not have personal experience with EPIK, other than filling out the (extensive) application form, but I have heard good things about working for public schools in Korea, and good things about the apartments that come with working for public schools. Again, research extensively before you sign a contract and go. Aaron and I did not end up teaching English in Korea, however. 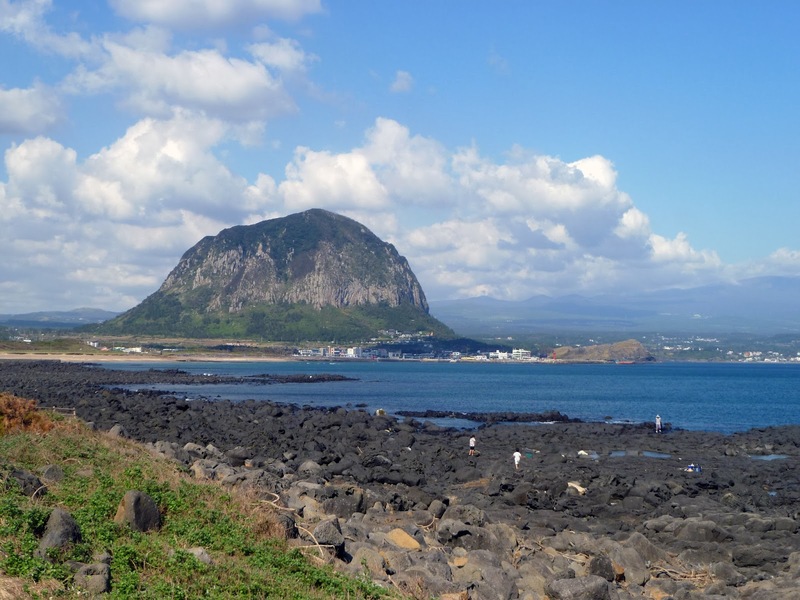 One day, while doing some basic research about Korea, I discovered that there is a beautiful little island off the southern coast of the country called Jeju. After looking at a few photos, I was sold. I was determined that we would spend our year there. I headed over to Dave’s ESL Cafe, which is the most useful website that you can have when searching for jobs internationally. There is a job board for positions in Korea, one for positions in China, and one for positions all over the world (Thailand, Taiwan, Brazil, Mexico, Vietnam, Chile, Poland, Turkey… the possibilities are endless). I went over to the Korean job board and did a search for Jeju, and found a posting for a position in an international school, specifically working with the boarding school. We immediately applied. International schools are a great option for teaching abroad. Most international schools teach the majority of their classes in English, and English is often the common language of the school. That said, there is not really a market for the same type of TESL teachers as at Hagwons or at EPIK. In addition to a good salary, benefits, and accommodations, many international schools will help you the expense of moving by offering a relocation bonus. But again, every school is different. To teach at an international school, you need an education degree, as you will be a typical classroom teacher, like you would be in North America. However, for those without education degrees, or even if you do have an education degree, working with the boarding aspect of these schools is a very interesting alternative. You can search for international schools online. There are many job fairs for international schools held all over the world. You can also become a member of various international school communities that host directories of international schools and job availabilities. Since I have not used these directories myself, I cannot recommend anything specific, but our colleagues in Korea used directories to register for job fairs and to apply to schools when they were deciding where they wanted to teach next. We had an amazing community of people at our school. Many had been teaching internationally for years at schools all around the globe. Everyone such incredible stories to tell about their travels and experiences in their lives. Teaching abroad is a great way to see the world and immerse yourself in new cultures. I LOVED working at a boarding school. It was absolutely the right place for us. We lived on campus in the dorms. I worked with the elementary girls floor, and Aaron worked with high school boys. We were responsible for the students after school and on weekends. We went on field trips around the island, went swimming, played games, had sleep over parties, baked cookies, did arts and crafts… it was like summer camp, but all year. I basically had to opportunity to relive my childhood. I won’t outline every little thing we did while there, suffice it to say that every moment was but immensely rewarding and fun. 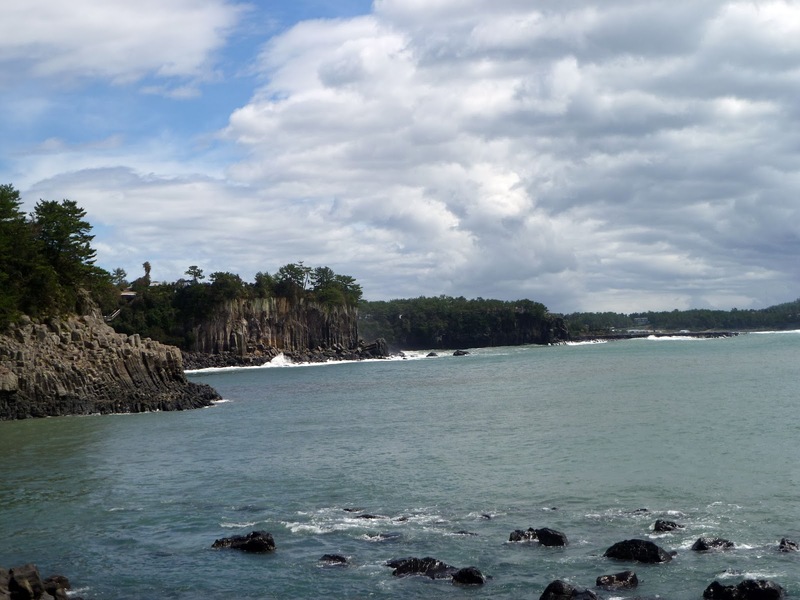 I loved living on Jeju Island, I loved my students, and I miss them all terribly. I really cannot say enough about our time there. I feel honoured to have been able to work with these students, and extremely fortunate that I was able to live in a country with such a rich, interesting, and beautiful culture and history. We had opportunities to explore much of Korea, as well as other countries, on our vacation times. We very seriously considered staying another year, but Aaron and I both got into the programs we had applied for, so we opted to come home. 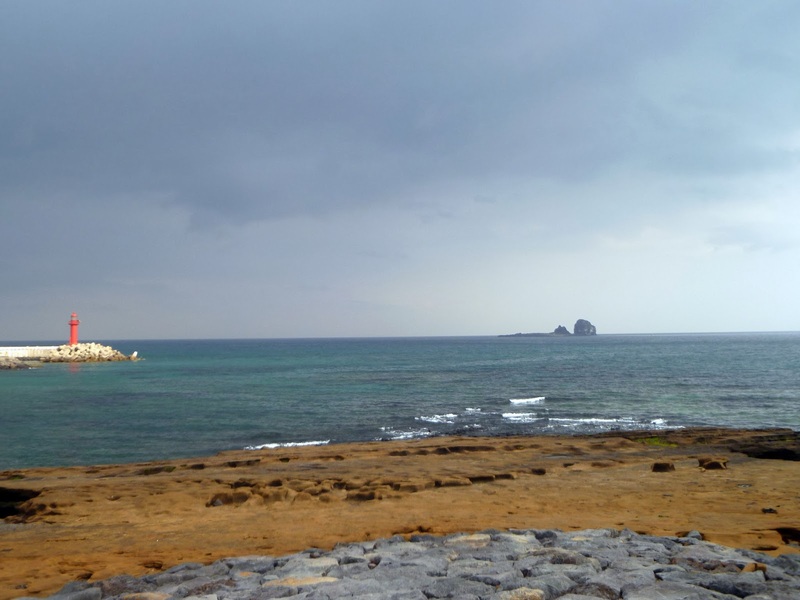 However, there are many days where I find myself staring out the window and dreaming of Jeju. Korea is a wonderful place to live. 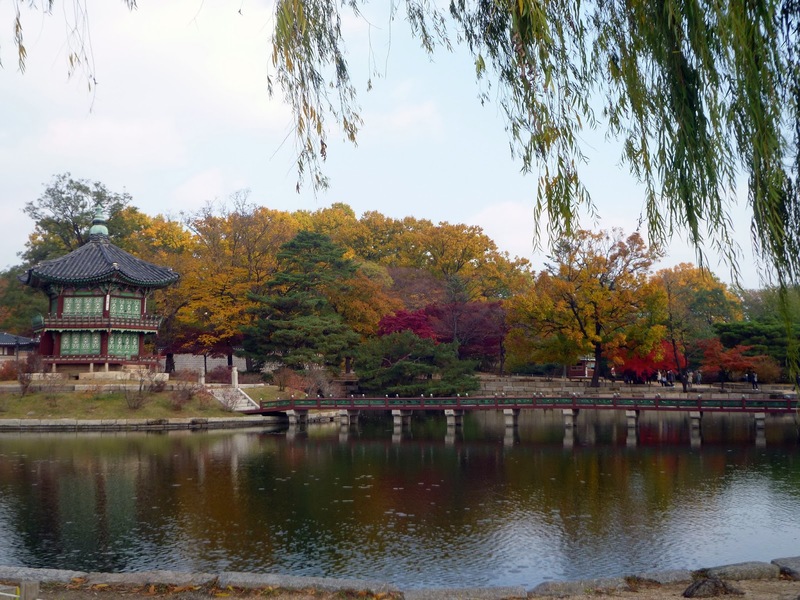 Seoul is a vibrant city, with excellent shopping, gourmet restaurants, and fabulous museums. 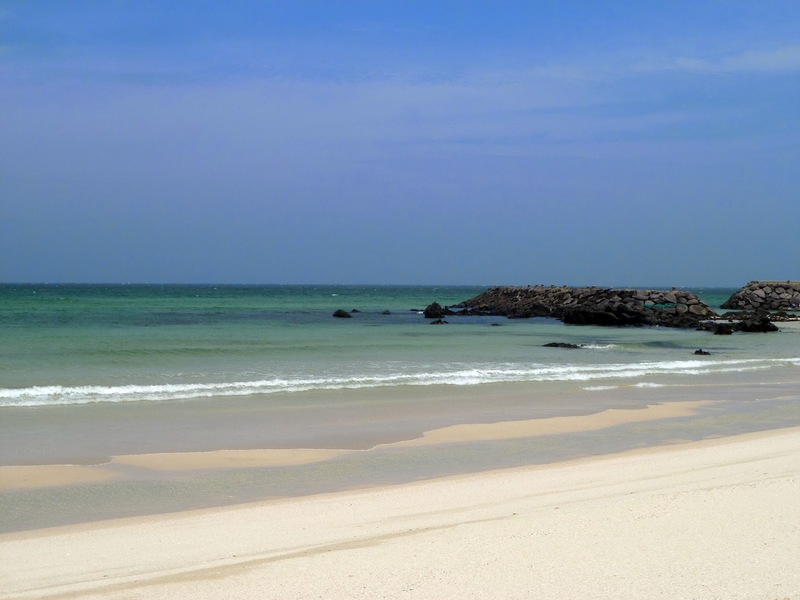 The country has numerous mountains, pristine beaches, and beautiful Buddhist temples. Also, there are cat cafes, which are basically the greatest thing to have ever existed. The food is spicy, the beer and soju are cheap and plentiful, and the coffee is amazingly delicious, but expensive. People are generally friendly, and often eager to help lost foreigners. I would recommend learning the Hangul (Korean alphabet) before you arrive. It will make your life easier. Learn a couple phrases as well… hello, thank you, goodbye… it will help get you started. 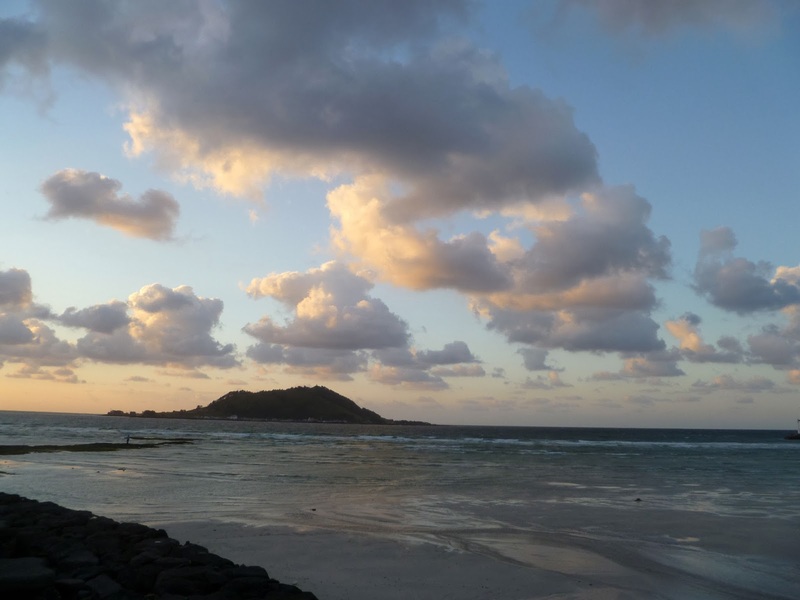 It is hard living in a different country, and culture shock happens. Just try to think about how amazing it is that you have this opportunity to learn and to grow. Make new friends, try new food. Korean food is generally pretty spicy, and many dishes contain meat, particularly pork. But, don’t fear! Many of our coworkers were vegans and vegetarians, and managed just fine. Depending on where you are living, if you really want to eat Western food, you will be able to. You can even visit the international supermarkets in Itaewon in Seoul to get the same groceries that you miss from home! Don’t miss trying bibimbap, any type of Korean Barbecue, sweet potato pizza (if only because it’s such a unique type of pizza), kimchichigae , mandu, japchae, patbingsu, and kimbap. Also, drink as much makgeolli as you can, because it is unreasonably delicious. One of Aaron’s favourite Korean dishes is sannakji, which is alive octopus. He only ate it once, but he claims that it was actually quite delicious. If you are planning on buying a car in Korea, or renting a car while there, make sure to get your international driver’s license. However, I will note that public transport in Korea is superb. Also, rental cars come with wifi. It's awesome. Make sure you bring money with you to last until you get your first pay check. Some people have to wait up to a month for their first pay day. There was something about being in Korea that really irritated my eyes when I wore my contacts. 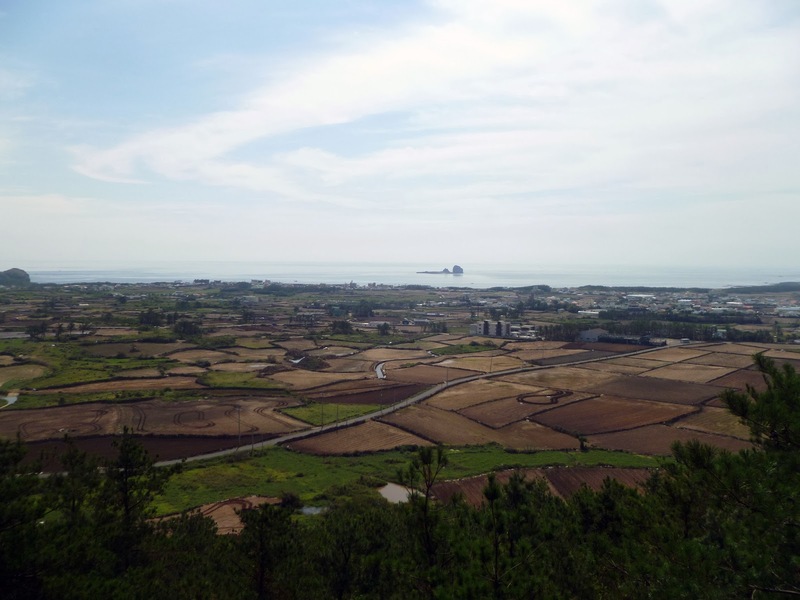 I don’t know if it was polluted air coming from China, or just the fact that Jeju is extremely windy, but the majority of the time I was there, I wore glasses instead of contacts. Other people weren’t bothered as much by it, but if you have sensitive eyes like me, make sure you like the glasses you have. Have an open mind. Teaching and living abroad is amazing, and enjoy every second of it. Drink in the culture and learn something new about the world. Love your photos and reading about your adventures. I've nominated you for a Liebster Award! Check it out here! Wow! Thanks for the great information!